Juline, Corey, Phil, Scott and Keagan Lloyd on one of the walkways at John Ball Park Zoo. 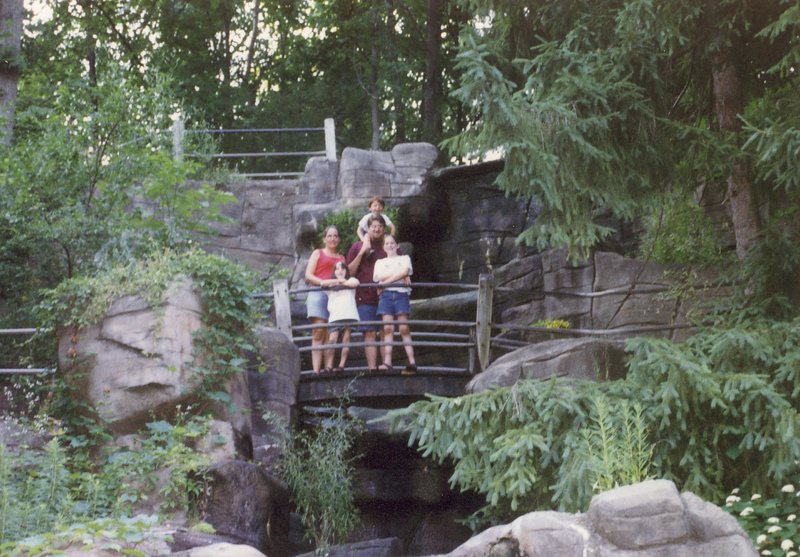 The family stands behind one of the railed fences on a small bridge. Large rocks and rock walls are part of the landscape.